As we approach a new funding round, The Gordon and Ena Baxter Foundation will be taking a look back at some of our awardees from 2016. You can discover more case studies here. ‘The Young Karers East Sutherland’ provides information and support to children aged under 18 years of age who have a caring role within their family in an area of rural sparsity. 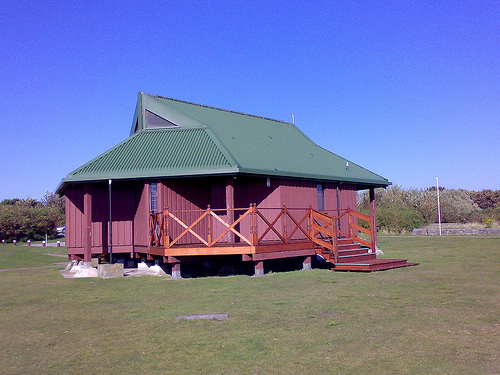 The former Beach Ranger Hut at Balmedie Country Park, north of Aberdeen, is receiving a much-needed makeover by a group of hard-working volunteers who want to provide local facilities for educational classes, workshops and small events. Funding is to create an interesting exhibition area within the Bothy, highlighting the natural and social heritage, flora and fauna of the area. The overall design is being created by a local artist with the help of some keen amateur photographers from the area. The group has achieved a great deal in a short time and they continue to develop their ideas to provide a sustainable community initiative. Last year the club piloted an innovative street gym programme of activities to appeal to otherwise disengaged and hard to reach young people in the Alness area. These activities have proved extremely popular and the club has been able to connect and offer new opportunities to over 60 young people, many of whom were previously viewed as participating in risky and anti social behaviour. Funding has enabled the club to purchase specialist mobile equipment to provide outreach sessions within youth clubs, community facilities and schools. Working in partnership with Youth Highland, Fyrish Gymnastics Club is developing a wider programme to support some of the senior members to learn leadership skills and coaching qualifications to subsequently take the lead in delivering the project to other areas.